Dollar Value Too High – If you ask for too much money, you risk turning off the employer right away. Perhaps you would have been willing to take less money if you knew the job required it, but if you answer with a salary that is too high, you will never get the opportunity. Dollar Value Too Low – Companies should not get discounts just because the employee did not want to hurt their job chances. If a company budgeted more money for the job than you require, it is not your responsibility to help them save money. In addition, if you ask for too low a salary, employers may think you are desperate for a job and not necessarily a worthwhile employee. Answering at All – Once you answer a salary question, you have immediately put a value on your abilities. The company should care about your skills first and your salary second. 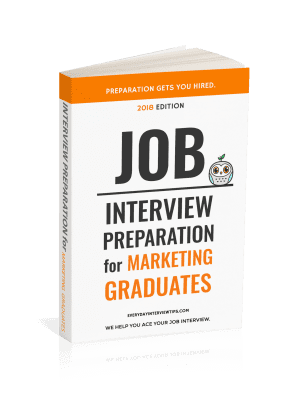 Once you have provided them with a number, even if it’s the perfect number for their budget and yours, you will still spend the rest of the interview tying to live up to that number. There will be a time that you need to discuss salary with your employer. That should be saved until after the interview is over and it appears you have the position. Until then it is important that you avoid answering interview questions about salary. There are a variety of tips you can employ in order to avoid answering questions about salary. Follow these tips in order to gently explain to the employer that you are not ready to answer the question yet. Interview Question: How Much Are You Expecting to Make? “I would like to learn more about the position before I answer questions about salary.” This is the best type of answer to these types of salary questions. It makes sense and it is to the point. 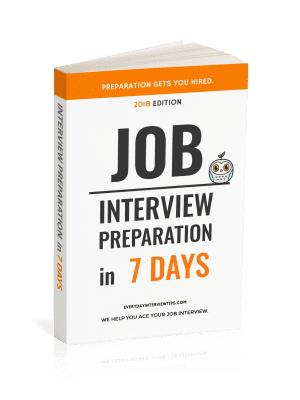 You are telling the interviewer that you cannot make an accurate salary estimate until you know every last piece of information about the job. Interview Question: What Have You Made in the Past? “All jobs have different requirements, so it is easier for me to leave discussions of my past salary out of the conversation until I know what this particular job entails.” This is a tough answer to make, but your employer should understand. Your past salary should have no basis on your current salary. It is important that you do whatever it takes to keep this question unanswered until the end of the interview. Only then can you answer questions about salary. In the next post we will discuss tips on how to negotiate your salary with the employer. Avoid discussing salary until the very end of the last interview. Penelope Trunk has a great post about salary negotiating. This answer here. Hope that helps! I’d like to know more about the job and responsibilities. I would imagine that there are elements to the compensation so could you please describe each element such as medical benefits, salary range, bonus, stock etc so I can get a picture of the total compensation program. Or / and or after the above has been answered. Then if you are ready to make an offer I’d like it to be an offer I can graciously accept. This would have been handy a few weeks ago! Although my situation was a bit different – they emailed me the question in response to my application. Wow, really? We rarely hear about employers asking that kind of stuff in email or letter. Usually they do it in person so they have more of an opportunity to discuss it. Thanks for sharing! My salary has dropped 40% in the last 18 months as my company struggles to survive. It’s time to make a move. I’ve had two different interviewers ask for my current salary and they seem shocked that I’m asking for a pay rate similar to what I was making previously. One guy actually recoiled physically and the (second) interview ended shortly thereafter. We had actually discussed a rate equal to my previous pay, and they seemed ok with it, but this was the first time they heard what I was currently making. How should I handle this? The pay cut was not performance related and I explained it that way but he wasn’t listening any more. Should I say that I’m still making what I was 18 months ago? I have W-2’s that prove it from that time period, and had one recruiter actually request a copy. It’s not a lie if you say you made X amount at your previous job, even if you didn’t make that amount as recently. It’s stretching the truth, and it can get you into trouble, but if they weren’t going to offer you the salary you wanted anyway then what’s the harm? However, in rare cases the market simply changes, and it’s also possible that your job isn’t worth to most companies what it used to be worth. It sounds like none of these companies are willing to offer that much, and if that’s the case you may have to take a lower salary or find a different field. These companies shouldn’t be balking at that rate unless they’re unwilling to pay it. At the very least, they should get into a discussion with you about it. why it important to avoid discussing salary early in an interview? Hi there, you should always try and avoid the salary discussion until after you really understand what the job involves and what is expected of you. Doing this ensure you don’t undersell yourself and then find you cannot increase the offer enough to make it worth your while. Knowing what the job is all about first means you can set a salary range in your mind before the salary discussion begins. You should also try and avoid making an offer first, allow the company to offer you a figure based on the market rate. Also, there is not much point in spending a lot of time and effort negotiating a salary up front only to realise as you progress through the interview that the job either doesn’t suit you or does not match your skill set. Hope this helps. Thank you, I have just been searching for info about this subject for a long time and yours is the greatest I’ve found out so far.